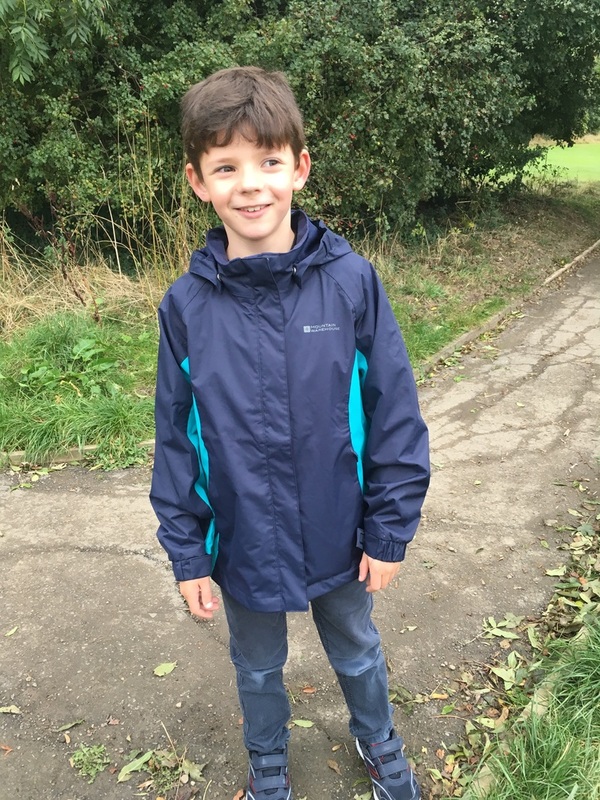 With a definite nip in the air and a kit list for my China trek I decided it was time to invest in some better coats for our family walks and start getting things for my trip. 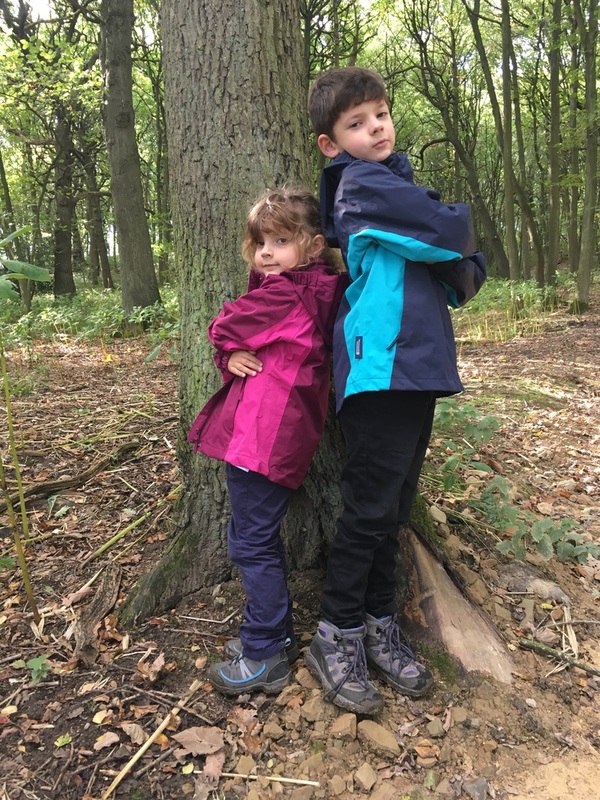 I’d ordered us some coats from the Mountain Warehouse website but they were a little small for my kids. Luckily there is a store nearby and they were easily exchanged and I picked up some other bits I needed whilst we were there. Now to test the coats with a grumpy 8-year-old and my little 5-year-old fashionista, would they both be happy at the same time?! Having had the lurgy we didn’t go on a massive walk so just ventured out a couple of times on a few shorter walks. The first short walk we went on was to some nearby woodland. 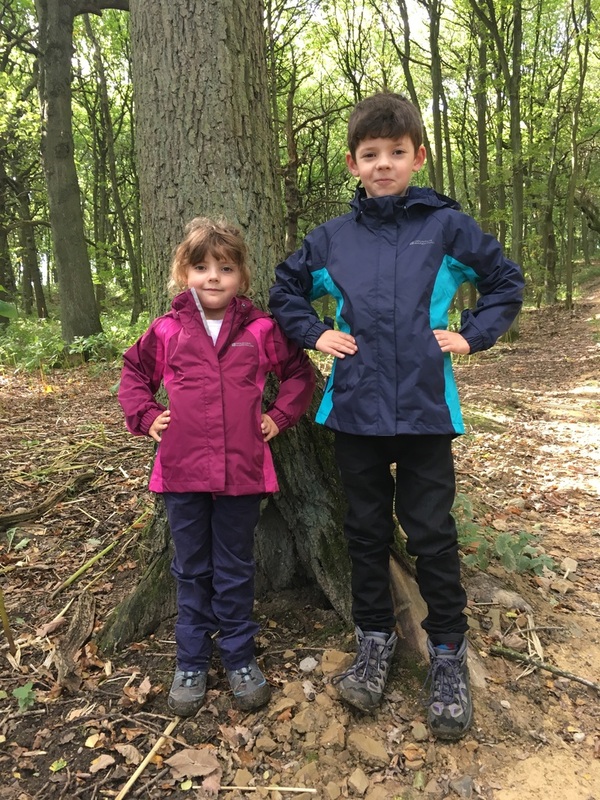 The kids both looked smart in their new coats and both loved the trendy colour they had chosen. 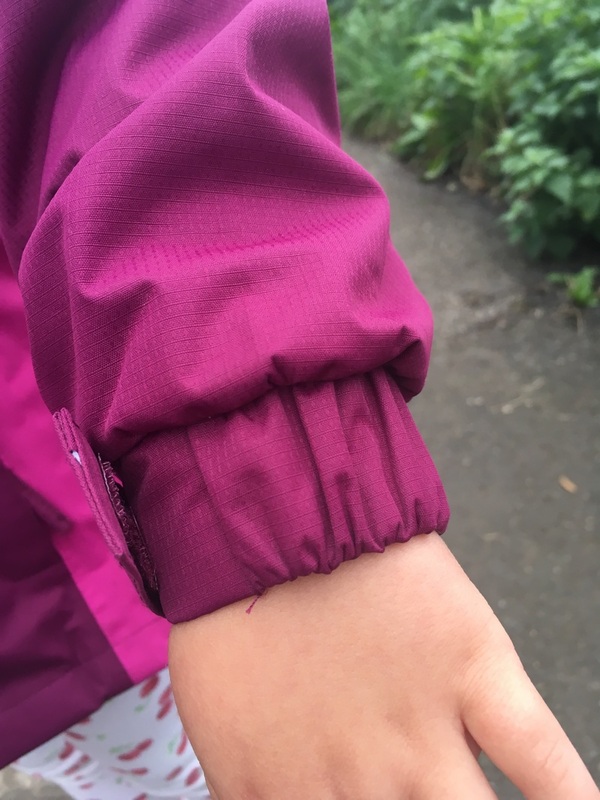 The coats are waterproof and with adjustable cuffs and tapered seams there’s no way the autumnal rain is going to get in. 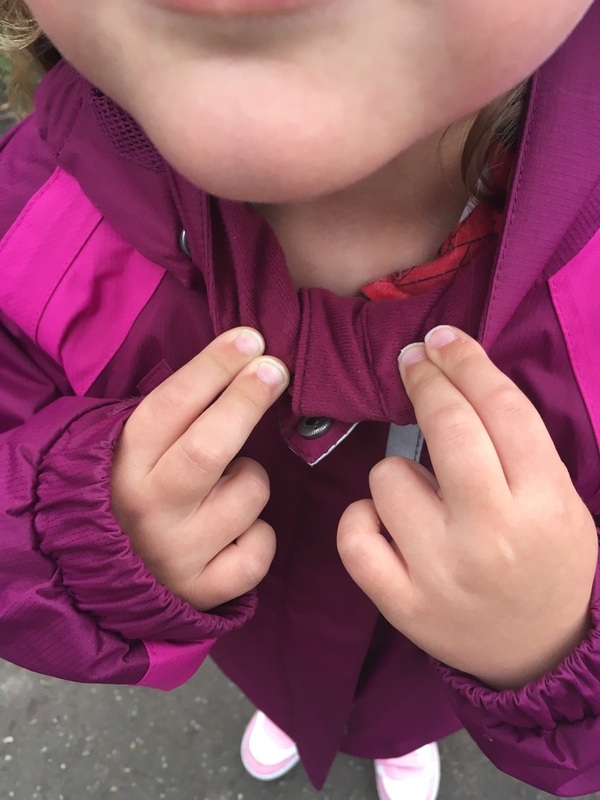 My Daughter particularly liked the fleecy lining around the neck and kept snuggling her face into her coat. 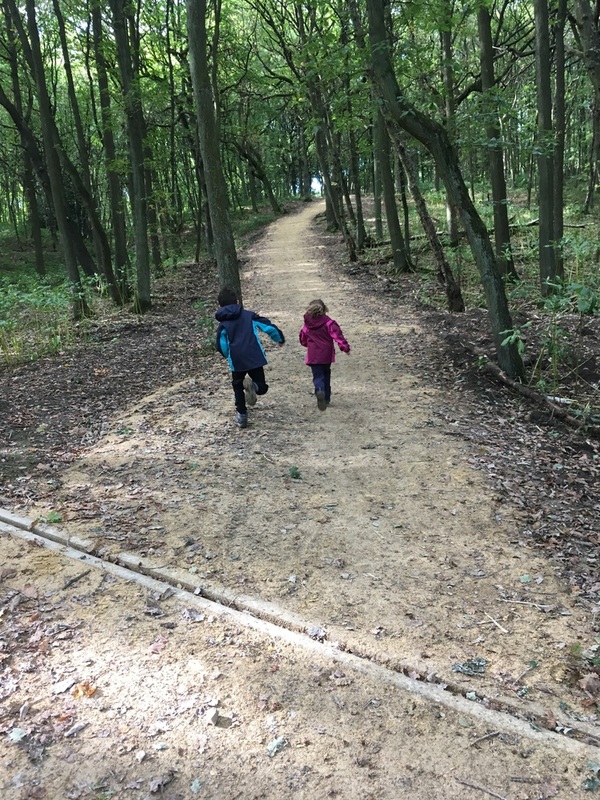 As we made our way into the woodland we started our hunt for conkers, acorns and fallen leaves for an arty project we planned later. We soon filled a plastic bag we had taken with us and my Son found the pockets on his coat useful as he started stashing his acorn finds in them. Every good Autumn coat must have conker/acorn pockets it seems! We didn’t find conkers this time but will be on the lookout for them next time. And were my kids impressed with their new coats? Yes, it seems they were, in fact they’ve hardly taken them off since we got them and are even wearing them to school. 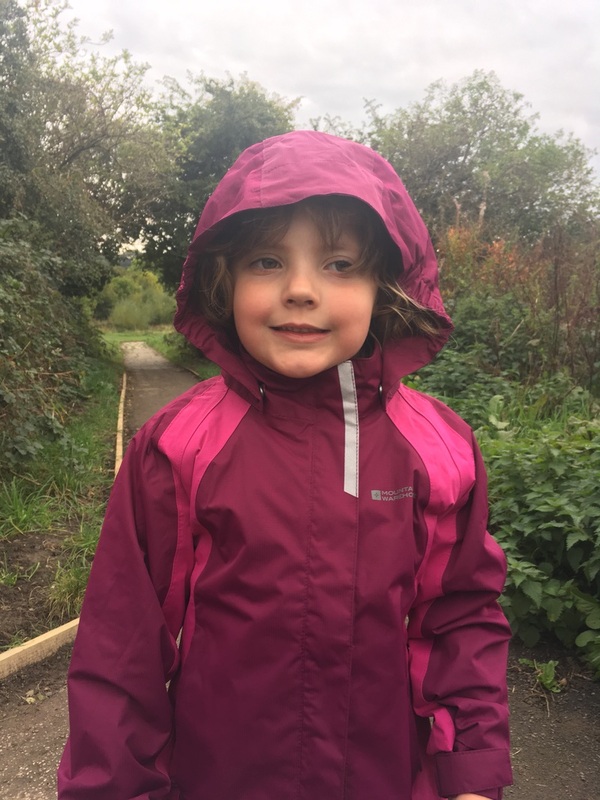 Warm dry kids mean our autumnal walks can last a bit longer and we don’t have to cut our adventures short because the rain has started. Now the lurgy has gone I can’t wait to get out and enjoy a longer adventure a little further afield. I bought a size bigger than I usually would for my children. All views are my own and I’ve received no incentive to write this. We had great fun creating some Autumnal art with the finds from our walk!